← Our first WiNNeR is…. The following is an excerpt from a very interesting post by my friend at Rostitchery.com. Please take a moment to pop on over to Rowena’s site and read her intriguing article… then come back here and read my response. I was just going to post in her comments, but I figured that this is such an interesting topic that it deserved it’s own blog post! 🙂 So go ahead….mosey on over and read, read, read! First of all, the e-wrap can’t be lumped in with the knit stitches and generically called a “loop” when really, this stitch is actually the “Twisted Knit Stitch” or “knitting into the back loop” in knitting terminology. It is created differently and has a different texture than a knit stitch. As for the others, I believe that the “true knit” stitch, which is really the method of physically working and lifting the stitch on the front of the peg and the U-stitch can be used interchangeably….it all comes down to a possible matter of gauge difference, but the use of either of these can really be left up to the knitter. The flat stitch, however, is a super tight stitch which has it’s own uses and (in my opinion) should really be avoided unless the pattern specifically states to use this particular stitch. Yes, the yarn wraps itself around each other to create the same “loops” as in a knit stitch (which it still IS essentially), but it is not the same in practical use as a knit stitch during loom knitting. Would you like to carry on the discussion?? Do you have your own idea of what loom knitting patterns and techniques should be and include? Pop in a comment below! This entry was posted in Blogging, Knitting, Loom Knitting, Looming Patterns. Bookmark the permalink. Great topic, one that hits my email all the time too. I am with you on this one Bethany. I believe the confusion arises due to the fact that as loom knitters we have grown and learned so much in the recent years. As we learn, we have changed the way we do things on the looms, unfortunately, the “history” has been recorded in patterns (some of them even my own) and instructions. Although we are striving to get a nice standardization going, it has been a bit complicated to achieve. However, I think we are moving in the right direction. I still remember back 9 years ago when there was no Purl stitch in the loom knitting world–yes, there was none! Then it came about and a whole new world opened up. We are still learning and as we do this we will encounter bumps along the road, the key is to keep moving forward. however, i disagree that the “flat stitch” is a different stitch. it is exactly the same stitch when finished as the “true knit” stitch, it is just the method of performing it that varies. what you are doing, essentially, is changing the gauge of the knitted fabric. but not the stitch itself. Hi Rowena! 🙂 Glad you commented! I don’t wish to be argumentative…just giving you my thoughts. Maybe this will be a start. ah, i see how my post could be confusing, thank you for taking the time to point that out. the difference as i see it is that when a needle pattern (or a machine pattern) wants you to twist the stitch, it will state that, using common terminology: “knit thru the back loop”, or “purl thru the back loop”. but i do still stand by the notion that the terms “knit” and “purl” dictate actions, not stitches. the point you make about gauge is valid. what i should have said is that the stitch formation method matters only in terms of creating a finished surface. cables, lace, etc. naturally if what you are making needs to fit a certain way, then the gauge must be accurate but that still has nothing to do with the stitch formation itself, as it is possible to create a knitted item to gauge even more accurately on a loom than on needles. there is some discussion amongst needle knitters that a third stitch should be considered, and that is the yarn over. i am undecided on that question, although i’m leaning toward the “not a separate stitch” camp due to the fact that it is nearly always re-absorbed into the knitting on a following row with a decrease. i do appreciate you taking the time to respond, you have given me much to think about and the discussion helps to clarify things in my mind. without people willing to discuss such mundane issues so deeply, the art of knitting becomes stagnant and loses its vitality. i do not intend for my remarks to be argumentative and i hope that others will join the discussion as well. coming back with a few more thoughts! forming the knit stitch on the loom by flat knitting is much the same as knitting tighter on knitting needles, or dialing the tension up on a machine. it performs the same function. and i think that is valid. knitters often have to make do with whatever tools they have, and needle knitters often find themselves having to adjust the tension on their knitting to make up for not having the size needles they would normally use to get correct gauge. this is especially true for knitters working with needles of different materials–knitters used to wooden or bamboo needles often have to adjust their tension markedly when using metal needles and vice verse. it is not as straight forward on a machine as it might seem, because the weight put on the worked fabric varies according to the knitter. even on a machine the knitter has to do a gauge swatch and adjust the weights and tensions accordingly. While working/researching loom knitting and talking with many new loom knitters I have found that main concern is lack of standardization and consistency among patterns and conversation. Each designer refers to the knit stitch and doesn’t clarify the type of knit. I believe that there is a place for each of the knit stitches, I use the u-stitch doing cables, but I use the true knit stitch for sample stitch patterns. But I like the look of the single stitch for some projects. 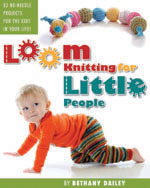 I really believe that we as the loom knitting community we need a “loomipedia”, a resource that can be used by the designers and knitters with ease. Sorry, about the soap box, I really do think all the knit stitches have a place and I can’t wait to see where the loom knitting community goes in the future. I have recently visited that very page of yours, Brenda, lol! I linked to it in the gettinitpegged facebook page when we were originally discussing this issue over there…it’s a very detailed description! Thanks for mentioning that! No soap boxes here, Stasia…we’re all on the same plane, I believe. 🙂 Your goals are very applicable to our needs as loomers for the future….so keep doing what you’re doing! I agree with the first comment about a whole new world opened up . It still is evolving. I see it as even as a newbie. Now there is Loomchet, too! You are so right, Chris! Who would have ever thought that we could crochet on our looms???! The issue of whether the flat knit is a separate stitch is an important one for loom knitters. Because we do not have the option of changing needle sizes mid-project, being able to change gauge is very important to us. In fact, all of the knit stitches, as well as the purl, are an underused tool for shaping fabric on our looms. I do not think we should be boxed up with how “it is done in needle knitting”, because we are not needle knitting. The knit stitch, e-wrap, flat knit, and purl are all ways of shaping our loom knit fabric, and they are important to a loom knitter in an entirely different way than a needle knitter. While much of the two crafts are similar, loom knitting has its own unique and special attributes.